What did the Ark in the Holy of Holies look like? The commentaries on the Torah discuss the design of the Ark and its unusual lid upon which were two golden Cherubs. 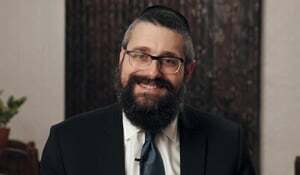 Growing interest in Cherubim Rabbi Mendel Kaplan, thank you for such a fascinating and detailed lecture. I could have listened to another hour. I'd like to learn more about the keruvim. Somewhere on the channel is a lecture about how the little faces may be turned toward each other, and turned away from each other. The reproduced Ark be brought to the Philippines It would be great if the reproduced ark "in all its glory", as posted by an anonymous friend from Aldergrove, BC Canada, be brought here to my country, the Philippines. We would have the chance to imagine the wonderful love of the Hashem in the days of Moses and His immeasurable love to the Israelites. It whas a pity the lesson had to be shortned at it´s ending, but in a way, that gave me more curiosity about the specific topic of the cherubins.